Annual series. 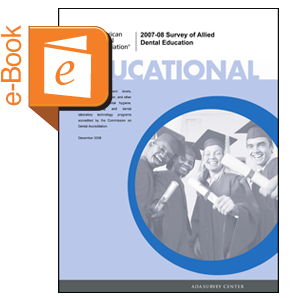 Summarizes data provided by administrators of dental assisting, dental hygiene and dental laboratory technician programs accredited by the Commission on Dental Accreditation. Includes description of academic programs, admission requirements, and enrollment and graduate levels. This is a downloadable report.